The current bike detour on Guadalupe Street will eventually be part of a guarded bike lane running from 24th Street to MLK Boulevard. Update: While it was being used as soon as the concrete dried, today marks the official opening of the city’s latest “cycle track” – a protected stretch of bike lane on Guadalupe Street from MLK Jr. Boulevard to 24th Street. “Street ambassadors” including representatives from Capital Metro and the police department will be present along the track to educate the public. They are located in front of the University Co-op today, and will reappear there on Monday. Oct. 21. Non-profit Bike Austin has also launched an awareness campaign about the track. You can learn more about it here, and see a diagram of the cycle track below. Original story (Aug. 22): The Drag’s "cycle track" is nearly complete. As part of a plan to create safer bike travel along Guadalupe Street, the city is nearing completion of a protected bike lane. The project was established in 2010, alongside Capital Metro's MetroRapid bus project. In fact, the southbound MetroRapid stop in front of the University Co-op – floating out a few feet away from the sidewalk – provides a large physical barrier for cyclists making their way down the Drag. The project’s far from over, though. Construction continues alongside the cycle track and ultimately, the bike lane and current parking spaces along The Drag will be resurfaced, repainted and switched – with the bike lane painted green. Ultimately the bike lane will run right next to the curb and be protected on its outside by either parking spots and bus stops, creating safer travel for cyclists and pedestrians. Austin is part of The Green Lane Project, a partnership with five other cities in the U.S. creating the standards for world-class bicycling facilities. (The group’s currently taking an in-depth look at Austin bike lanes.) Project funding has allowed Austin to send members to places like Amsterdam and New York to gather ideas from bicycling facilities. Chad Crager, the acting bicycle program manager for Austin's Public Works Department says the trips have served a vital purpose. "As a matter a fact, going to New York was sort of a catalyst for us to think about how we are going to do things on The Drag," Crager says. "Those types of study tours enable us to see things that other cities have done that work well that certainly increase bicycle use in those cities." Austinites can expect the Guadalupe Street project, stretching from Martin Luther King Boulevard to 24th Street, to be completed by mid-September. 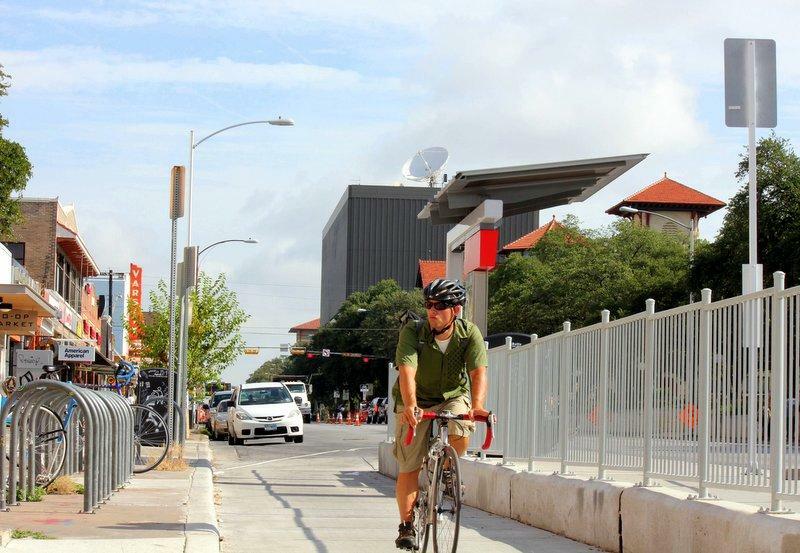 Future construction of guarded bike lanes around Austin is being considered. The end goal, Crager says, is for all Austin’s forms of transportation to complement each other. 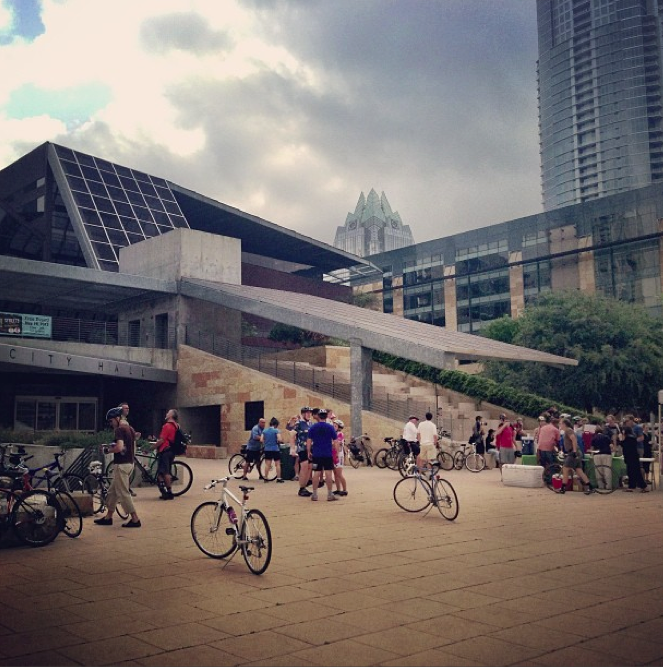 You may have noticed more bikes on Austin roads today. That’s because it’s the annual Bike to Work Day across the country. 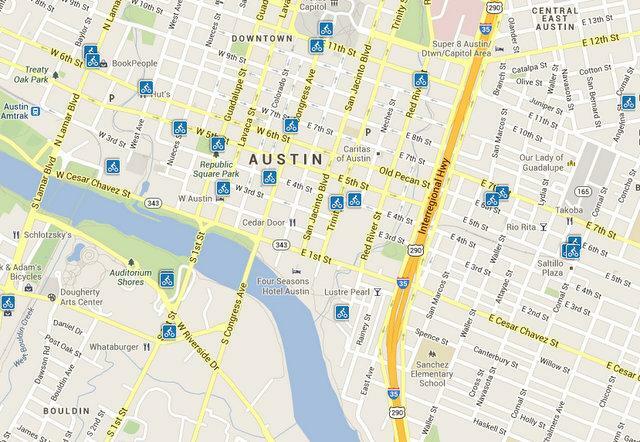 With a launch planned for the end of the year, a bike share system is finally coming to Austin. And the city is pushing for public input for when the program rolls out at the end of this year. Today, the city launched an online tool for citizens to suggest the best possible locations for rental kiosks. 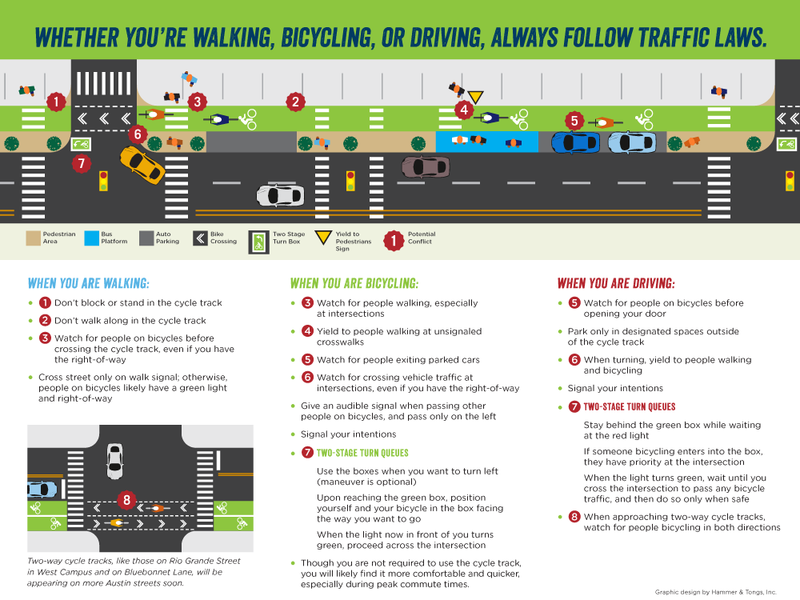 The Public Works department is also reaching out to Austin cyclists and stakeholders in public meetings.